LOOK NO FURTHER!!! Stunning 5 Bed/5 Bath luxury home located at the desired community of Paradise Palms Resort zoned for short-term rental, house is a walking distance from Club House. Professionally decorated!!! HOA fee includes cable, internet, home phone, lawn, exterior care and all amenities. Community has exceptional amenities including resort style swimming pool with grotto spa and side slide, tiki bar & grill, fitness center, movie theater, arcade room, convenience store, tennis court, beach volleyball court, playground and more in a gated security guard 24 hrs. 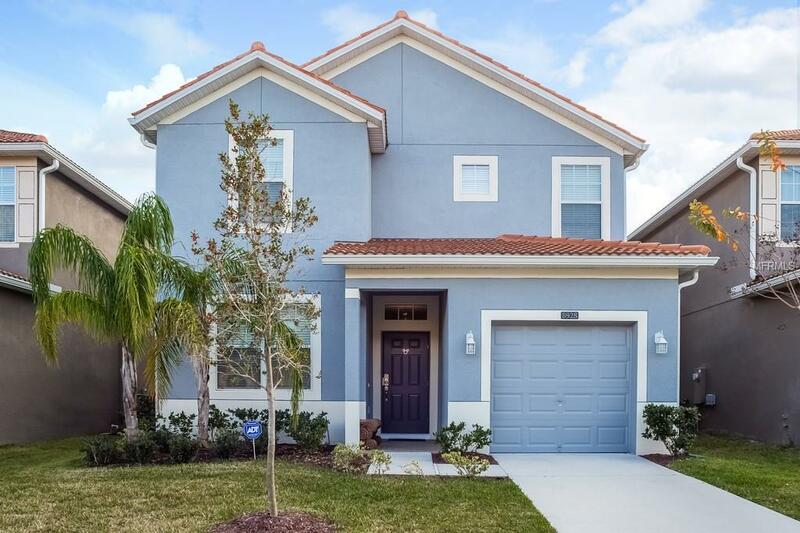 Easy access to 192, 27, 429 and minutes away from I-4 and Walt Disney World. Property has a solid booking history, high occupancy, and outstanding reviews, IN 2017 PROPERTY GENERATED 55.7K IN REVENUE, IN 2018 IT HAS GENERATED 55.4K AS OF JULY. BOOKING HISTORY UPON REQUEST. If you are looking for a nice vacation home investment, stop looking!! !You found it! Pet Restrictions Pet Restrictions Should Be independently Verified With Hoa.